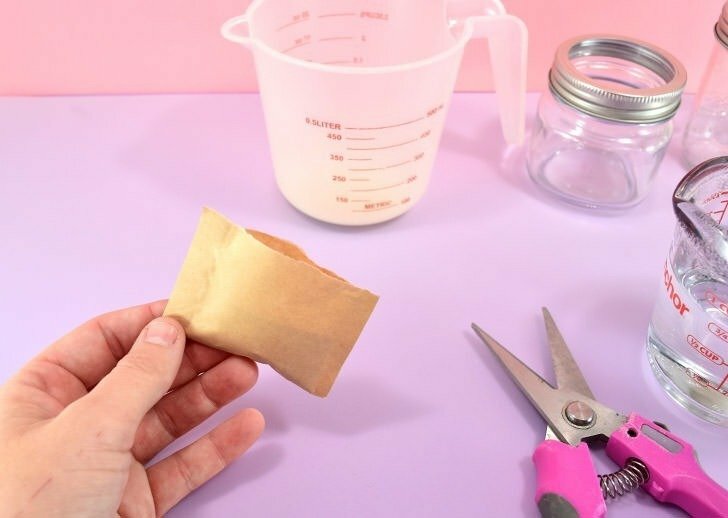 Pep up stale areas or improve smelly spaces, like bathrooms, easily with these 10-minute DIY gel air fresheners you can make in any scent! It seems like I spend an awful lot of my life trying to get my home to smell nice. Like a lot. I like using wax burners but I fear that they will one day burn the house down and so they are never left running unattended. And I don’t have an electrical outlet in what winds up being the smelliest of rooms, the closet, to run a wax burner to help with the smell. One day I went freaking nuts trying to figure out WHY the closet smelled so bad. It was a mess to be sure, and I had lots of clothes hanging and folded that didn’t quite fit having put on a bit of weight. Getting distracted for why I was in there, I literally spent an ENTIRE day going through all of my clothes and placing things I didn’t want anymore in black trash bags to donate and things I did want but couldn’t fit into size-wise in plastic tubs stacked neatly in the garage. The things hanging on my side went from full to less than a quarter of the space filled. And since removing clean clothes wasn’t going to do a thing, that darn smell persisted. So I turned my attention to Rob’s side of the closet. As it happened, since I was out of town and not doing laundry, Rob was purchasing new workout clothes instead of washing them. I had picked up the dirty laundry on the floor, but what I didn’t know was that there was a pile shoved against the wall of probably 2 weeks of dirty workout clothes hiding BEHIND the hanging clothes, too. Dirty laundry, out the smell, was mostly gone, but there was still a lingering odor that was bothering me. We also have pets and pets often smell bad. Dogs roll around in some nasty business, people. And litter boxes, they stink… even boxes that are kept nice and clean have a tinge of smell that isn’t pleasant. And so I have to deal with unpleasant smells in the master bedroom area with a hamper of dirty clothes PLUS a litter box in the bathroom. The obvious thing to do is to keep the hamper empty (which I do my best at) and to keep the boxes pristine, which we actually do a pretty good job of around here, but the house never smells pristine without a little help. Back to that one day when I was cleaning out my closet, I decided I was going to put a bra on, run into town and buy some of those cone-style air fresheners to toss in the room to help pretty the air up a bit. But I really, really didn’t want to go. Do you ever do that? Just really, really, REALLY not want to leave the house? I really didn’t have time, anyway, because I was also trying to get work and whatnot done so that I could go back out of town for several more weeks shortly. Stressed about the idea of using up an hour or so just to run to the store I let it go and just moved onto other things more important. The thing I like best about DIY air fresheners is that I can make as many as I want in any smells I can dream of. For closets, I like using a manly cologne type of scent. And for bathrooms the same. In the living room, I like to keep something sort of generic and seasonally inspired, like Christmas wreath or Autumn breeze types of smells. And in the kitchen, I prefer fruity smells like strawberry and in the bedroom, I like feminine aromas similar to a pretty perfume. And since I have a big stash of fragrant oils, I have everything I need to make as many as I want in any scents that I please so that each room can smell like whatever I like best. Guy, this is SO EASY. And it’s possible you might be able to raid the craft stash and pantry and not even need to buy a single item to make this work. Want to see how I do it? 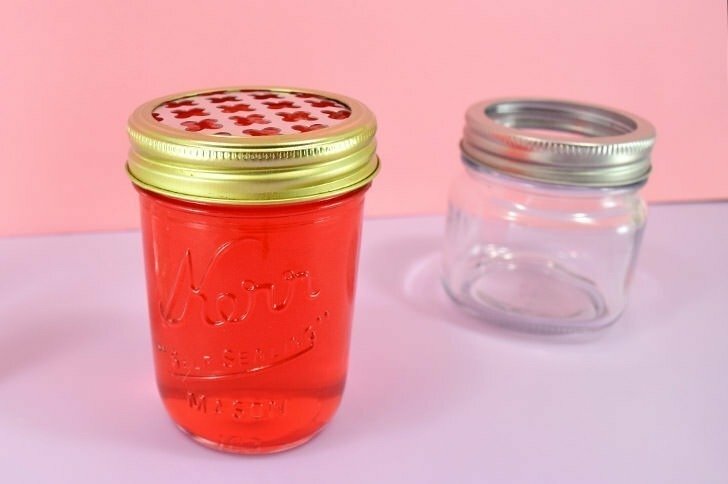 Let’s raid the pantry and make some smell good DIY gel air fresheners. 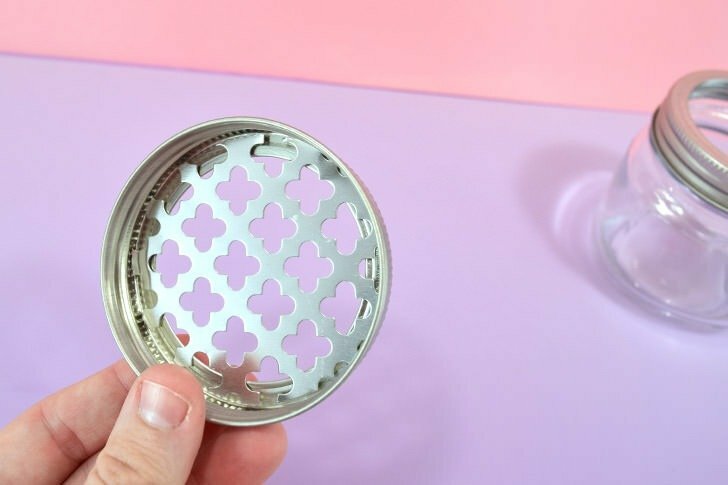 If you’re going to DIY instead of buying your mason jar lids, trace the metal lid onto a piece of scrap paper and cut out. 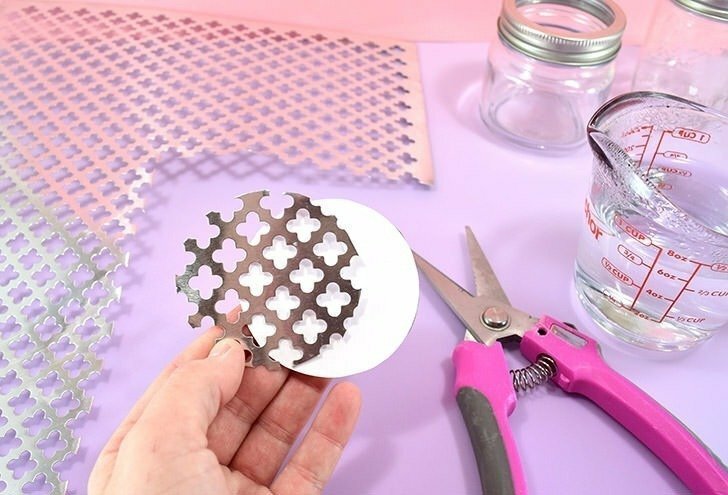 Using metal snips and your paper template cut as close to the round shape as you possibly can. Pop your cut out into your ring, taking care because the edges might be sharp! 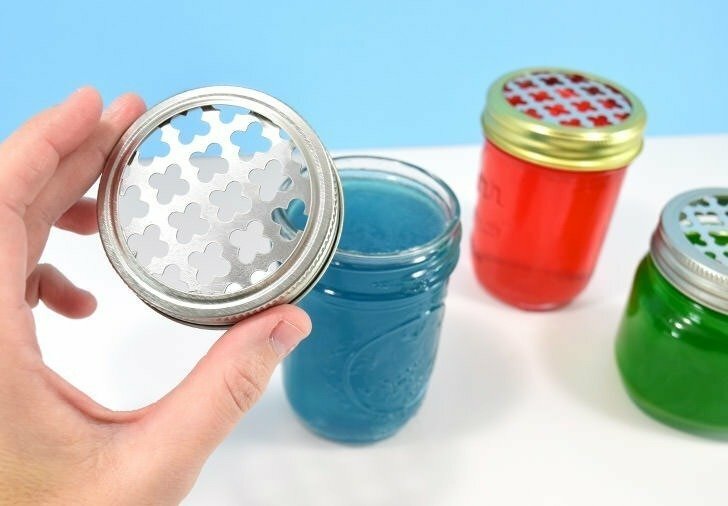 Now let’s make the gel air freshener to go inside of our jars. My recipe will fill 1 half pint jar. I like a single batch so that I can make many colors/scents in one day but if you’re making a whole bunch of the same, feel free to increase the recipe to fill as many jars as you have. 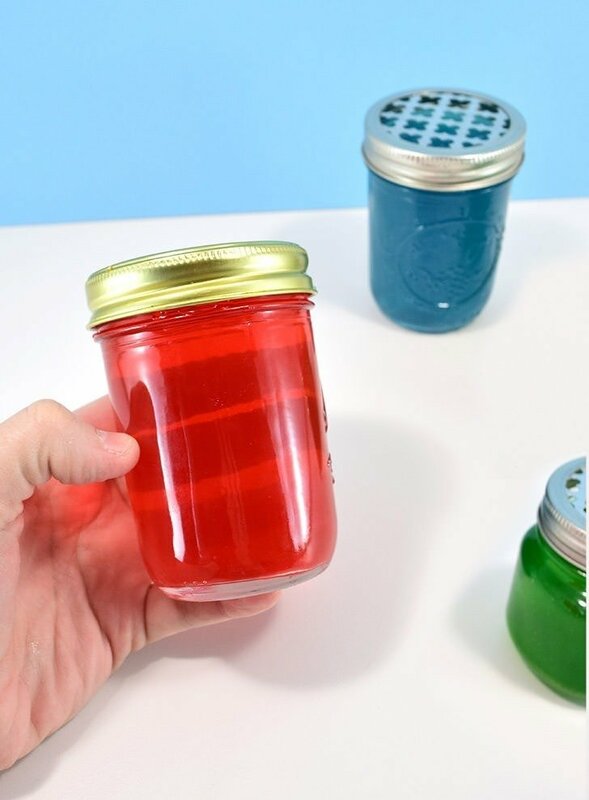 For each half-pint jar, you’ll need 2 packets of powdered gelatin. I’ll use Knox if I have it, but store brand works just as well, too. 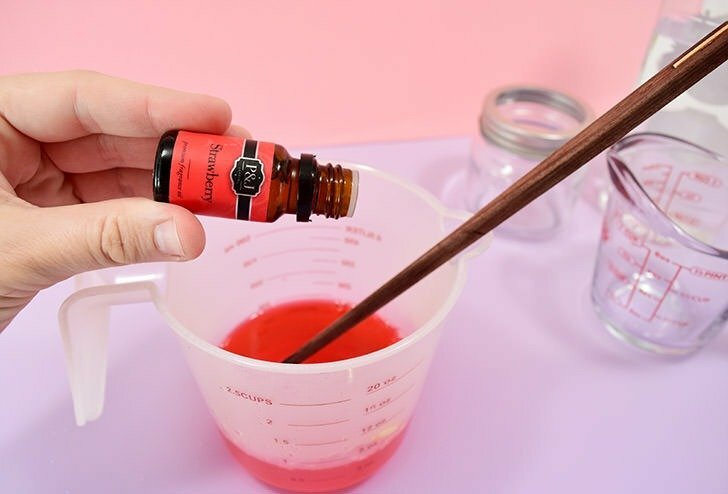 You can also use beef gelatin and I have found that the brand I use, you need one heaping tablespoon to get the same results. In a measuring cup, microwave your water until hot. You want it a bit warmer than just “warm” but not boiling hot. For me, this is exactly one minute of zapping and it’s warm to the touch but doesn’t burn your skin when testing the temperature. 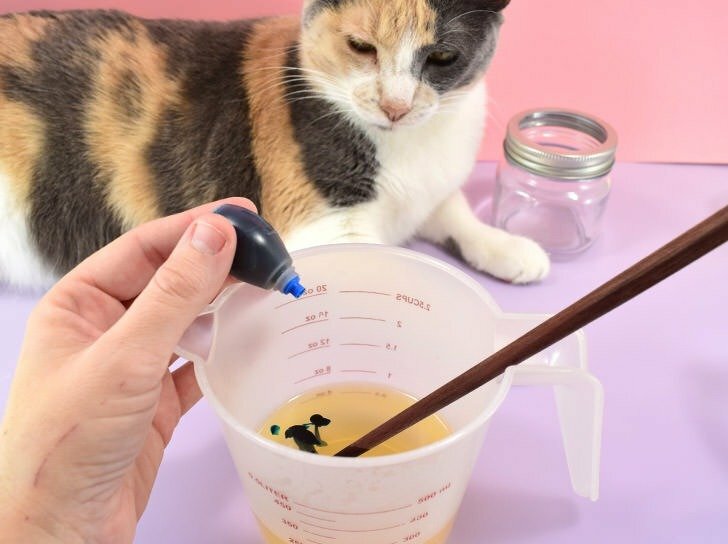 Add your gelatin of choice to the water and stir approximately 2 minutes until it has all melted and is well combined. 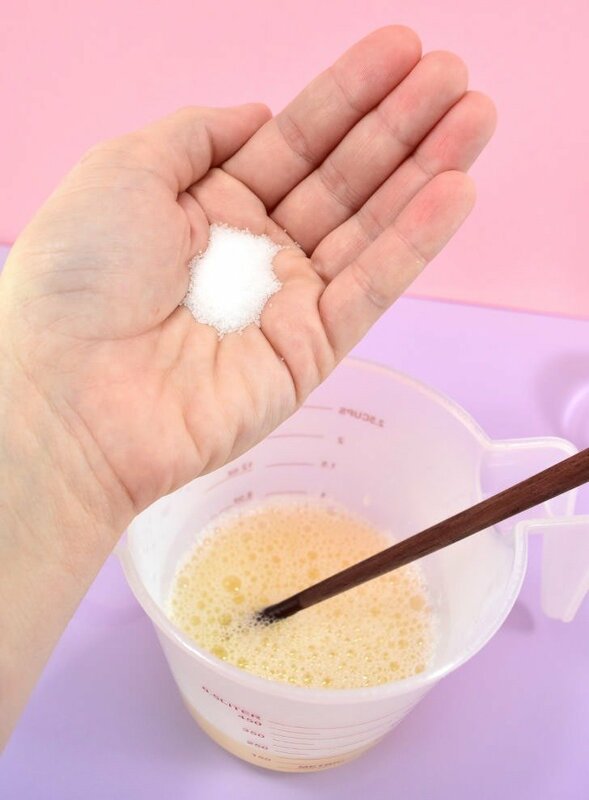 Add 1 tablespoon of salt and stir well to help inhibit mold growth. 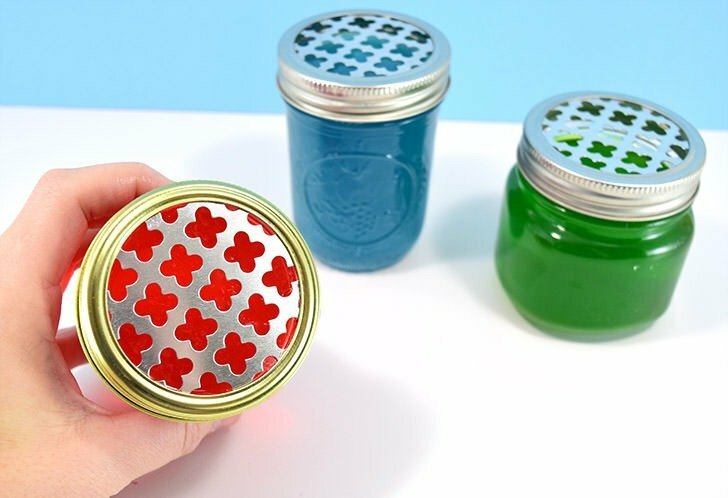 Add food coloring of your choice to match your decor or scent and mix gently. 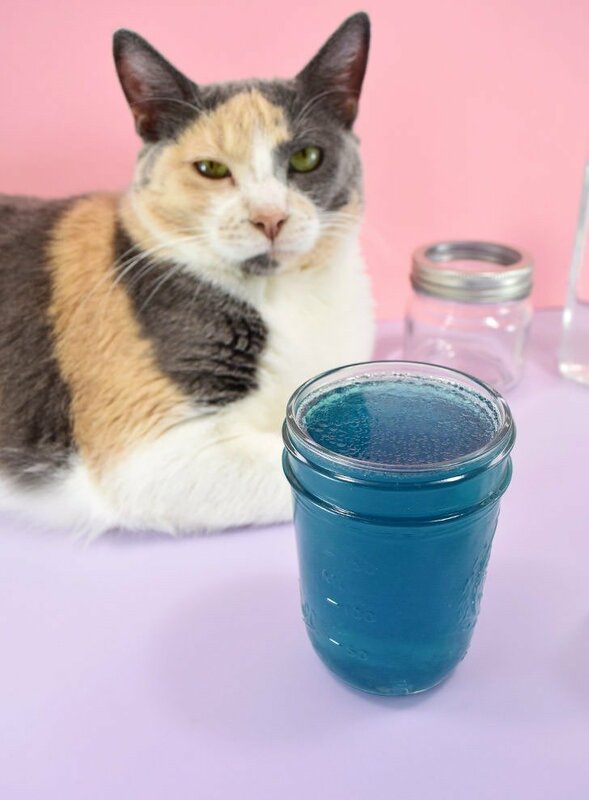 Allow the mixture to sit 5-10 minutes until the gelatin cools and slightly thickens, but has not yet begun setting up (you’ll have to keep an eye on your first go and then use that timing when creating future batches). Once cool add 15-30 drops of your favorite fragrance or essential oils. FYI – we do this because the heat will burn off the scent meaning we will need to use more or get a less of a scented punch in the fresheners we make. In the end, waiting will save you a bit of money! 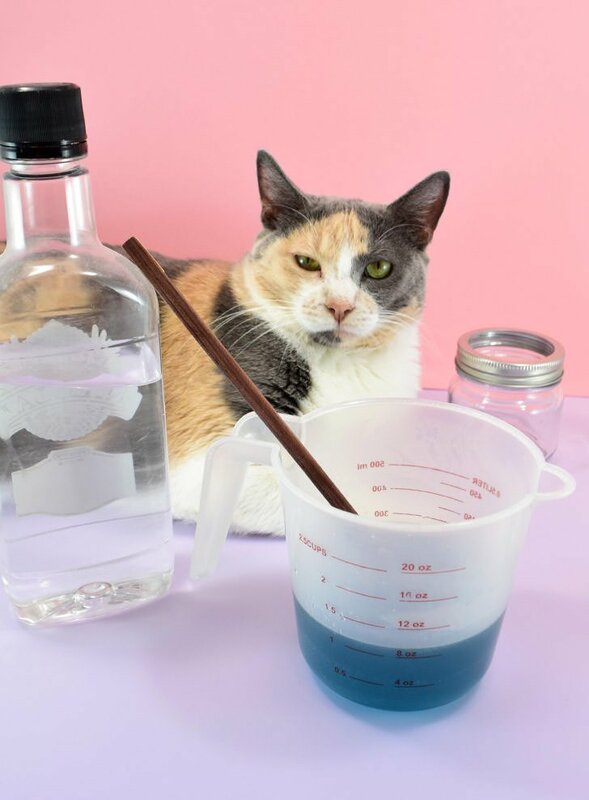 Top off your gelatin mixture with approximately 1/4 cup of cheap vodka so that you’ve got 8 ounces of the mixture (I accidentally overshot a bit!) This will ALSO help inhibit mold growth. If you’ve ever made gelatin and forgotten and let it sit out, you’ve probably watched it mold within a day. The sugar doesn’t help and we don’t have that here, but gelatin WILL mold into a nasty mess if we don’t prevent it. Perhaps the salt and the alcohol are not both necessary, but I worry about breathing in mold without realizing it because I didn’t overdo it. Use your best judgment if you prefer to use just one method or both. 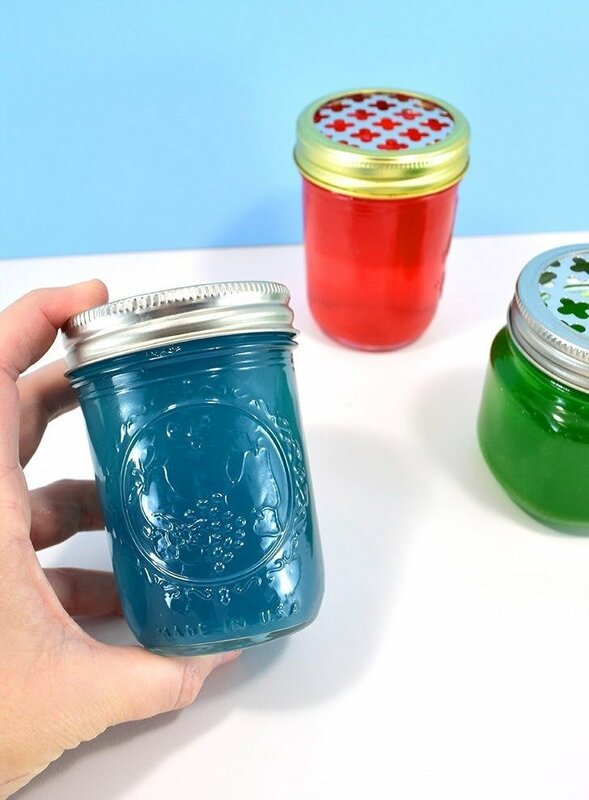 Pour your concoction into your clean half-pint jar. 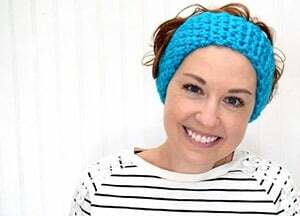 Add your lid and place somewhere safe for several hours to allow the gel to fully set up. Once set place where you’d like them to be and breathe in that heavenly scented air! Up above I’ve got a red strawberry gel air freshener that sits on my nightstand, a blue manly cologe scented gel that hangs out in the closet and a lovely Christmas wreath scented concoction that hangs out near the living room sofa. Be sure to set these guys up someplace where they won’t get messed with by kids or pets, because, as you can see, these lids are hardly leak-proof. If they get tipped over, there is the possibility of a trace of liquid or oil seeping out onto your surface and it could strip away the finish on good furniture. These guys will last several weeks until they need to be refreshed. I just toss mine and start all over again, changing the colors and scents for the seasons or my current whims!